Eat Good Feel good, especially with the foodies! It had been an enjoyable trip to KL with all the Foodies and I am inclined to agree that there are so many delicious food in this capital of Malaysia. VCR VCR, one of the hipster cafes in KL that everyone won’t give a miss. A two storey cafe that is packed with people most of the time. A super big breakfast that consists of 2 chipolata sausages,Heirloom Tomato, Lamb Bolognese , Mushroom Friscasse , choice of turkey ham or beef bacon, Free range eggs any style on housemate sourdough toast. 35RM for such huge portion, Its definitely worth the price! Another finger licking good dish that you have to try if you are there. Very crispy soft shell crab with tender meat in it. Paired with housemade tartar sauce, Furikake sunny side up, onion jam and quick pickle kyuri , one burger is never enough! This dish is so interesting ! Soft Potato Waffle topped with mushroom , herb salad, tomato fondue and 63 degree celcius runny egg~ Combine all into one and enjoy the shiokness! Banana cake with peanut butter frosting and banana slices, you just can’t walk out the cafe without trying this! 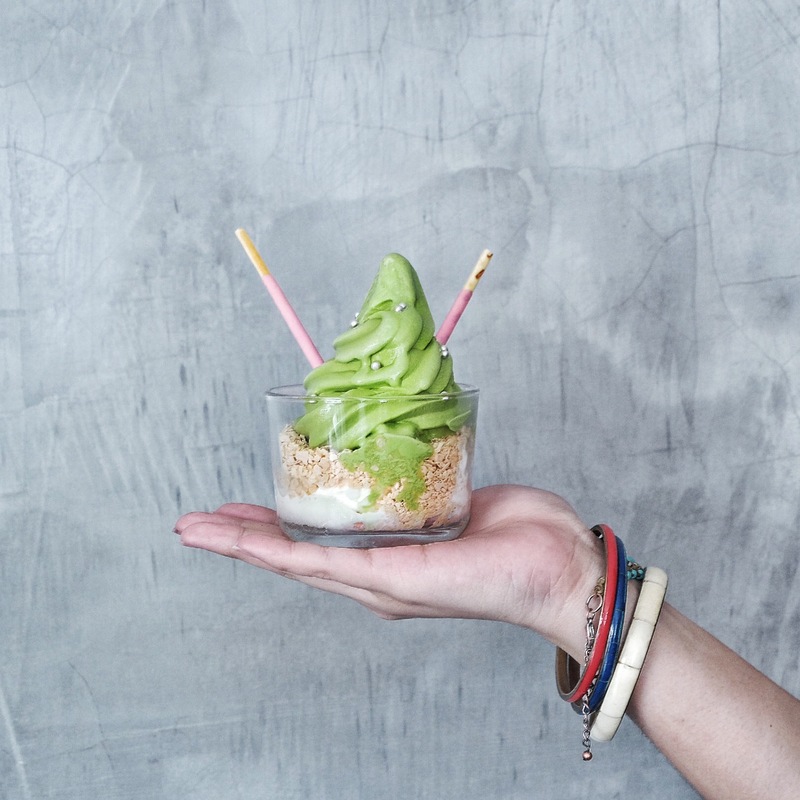 The peanut butter is very smooth and light creamy that you won’t feel jelat at all ! Perpetually crowded but we were so fortunate to find seats in a short span of time! How to resist this plate of goodness! You can smell the aroma of the coconut everywhere! Rice is so tasty and chicken thigh is so crispy on the outside with tender meat in it! I guess its hard to find some other places in Singapore to be on par with this plate of nasi lemak. If you are going to KL , please try this! Dried Bak Kut Teh has been a popular dish in KL, hence there was no reason for us not to try for at least once! I prefer bak kut teh to be herbal kind and this place is just perfect for me. The soup has thick herbal taste after boiling it for hours. They are very generous with the amount of ingredient in each claypot of bak kut teh so its definitely worth the price. Well, I do expect some quality because this shop has been selling for more than 30 years! What makes this place so special is this dried bak kut teh claypot. The ribs came with thick layer of fat skins which everyone loves. The sauce is good, but it would be perfect without the thick layer of skin as I couldn’t really taste any meat except the bone and pork fats. If you notice, the claypot was half wet instead of dried bak kut teh, so remember to tell them how dry you want the bak kut teh to be. Yuk Kee Restaurant A restaurant which is very well-known for their crispy pork and average waiting time is usually one hour or more. Believe me, the quality of the food is definitely worth the wait. Yes this is what we could die for, the crispy pork. Near to the entrance, the staff would place this whole chunk of goodness on the board and started to slice it for all dine- in and takeaways. This is only available on Fridays, Saturdays and Sundays. An overall view of what we had ordered. This is not the same as what we have in Singapore as the skin is the soggy kind. I like the texture of the meat but somehow i prefer the ones in Singapore. 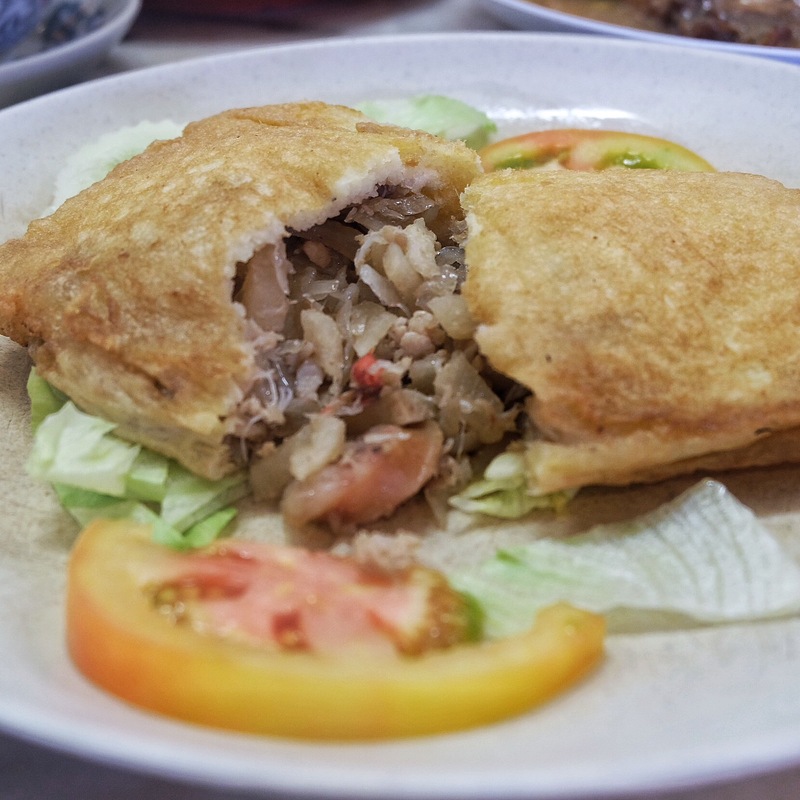 This is basically french toast bread filled with chunks of minced pork and onions. This dish would taste pretty normal if you just eat it plain. So, drip their signature Lea and Perrins Sauce which is readily placed on each table to make it taste better, a little spicy, sour and salty combination. This was what we have been waiting for ! 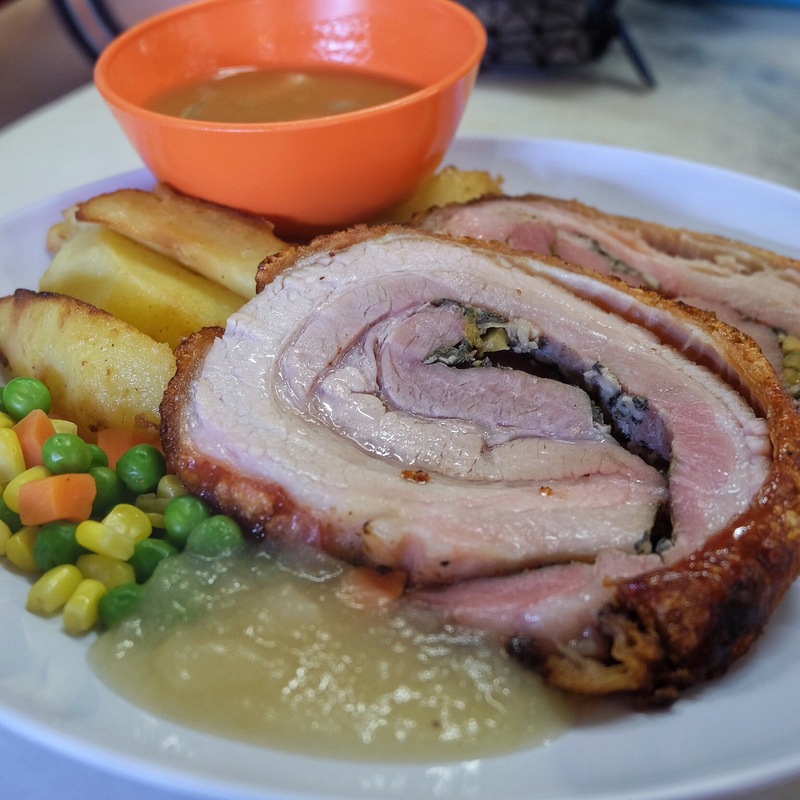 The roast pork ! I can only use ” heavenly good” to describe these two slices of pork. Crunchy sound was all over the place when we had our first bite and this is how crispy the roasted pork skin is. This dish comes with 2 sides and some apple sauce and thick brown gravy. I don’t really like that apple sauce though. 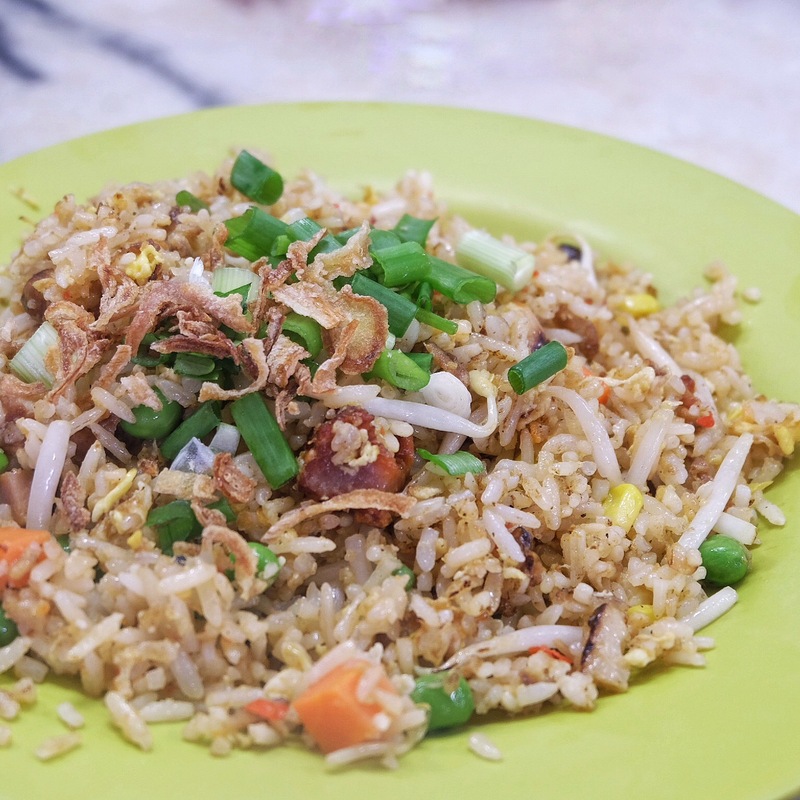 This is a plate of belacan fried rice that you MUST order. Very tasty and its not very spicy so if you can take a little bit of chilli, this is good. Rice was not sticky at all and everything is just on point. Another must go place if you are in KL and be prepared to smell like a barbecue chicken wing! The smoky charred taste was totally on point! Very tender juicy chicken wings that I am inclined to agree that this is possibly the best chicken wings I tried so far! 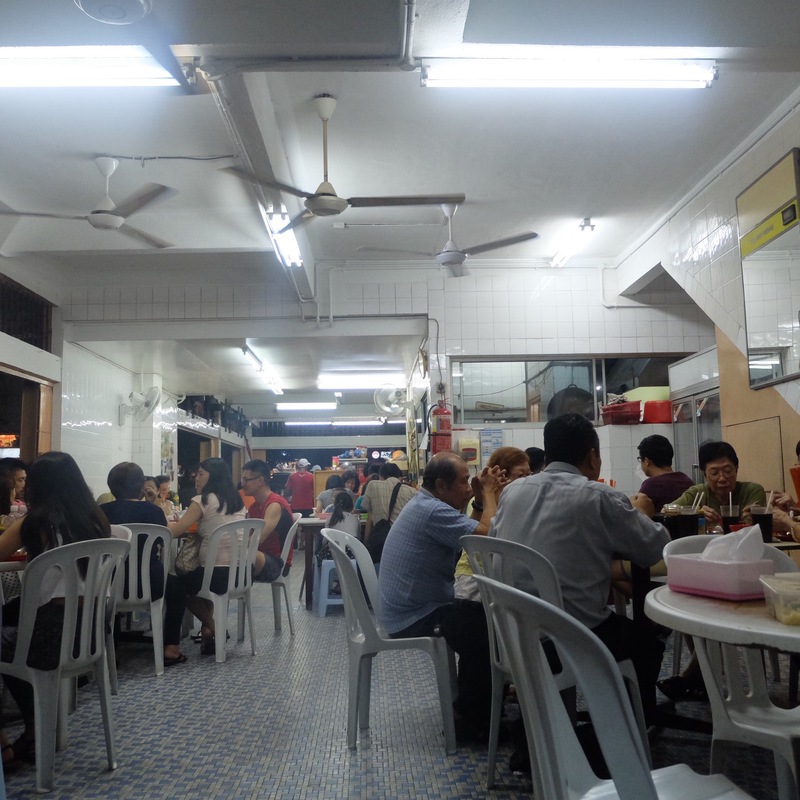 If you still have space for some calories, you must try their KL style hokkien mee! Its very tasty especially when you eat it with the crispy pork lards. This is the kind of dish that you would still stuff into your mouth even though you are very full. New Chapter by the Owls cafe A very spacious cafe which is definitely the best place to chill out with friends. Look at the interior, just so pretty! 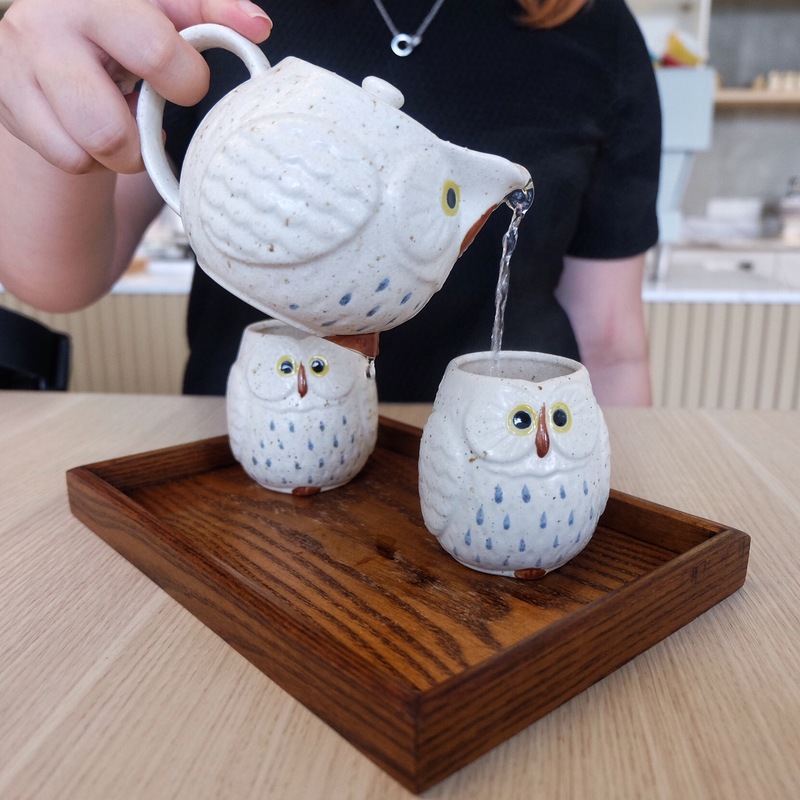 Their Owls design tea set which is currently not available for sale yet ! Pretty latte art! I must say the barista had put in a lot of effort in each cup of coffee! So do support! This is David. 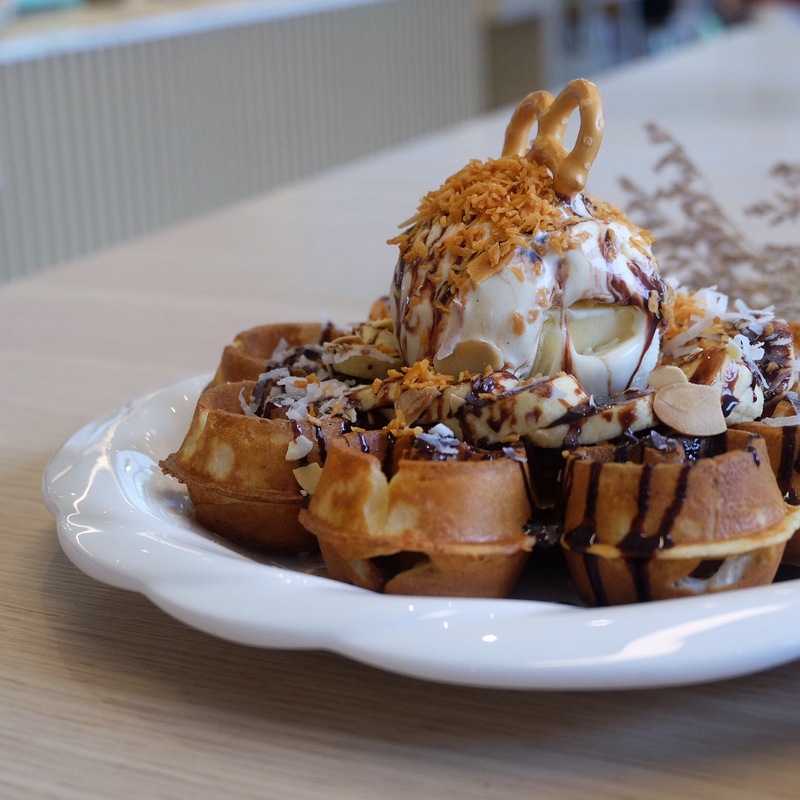 A waffle topped with generous amount of banana slices, and on top of that is a scoop of homemade vanilla ice cream that comes together with peanut butter cream , chocolate sauce and 3 well blended flakes( Almond, coconut and toasted coconut flakes). Rebecca has a more vibrant outlook that catches everyone’s attention. 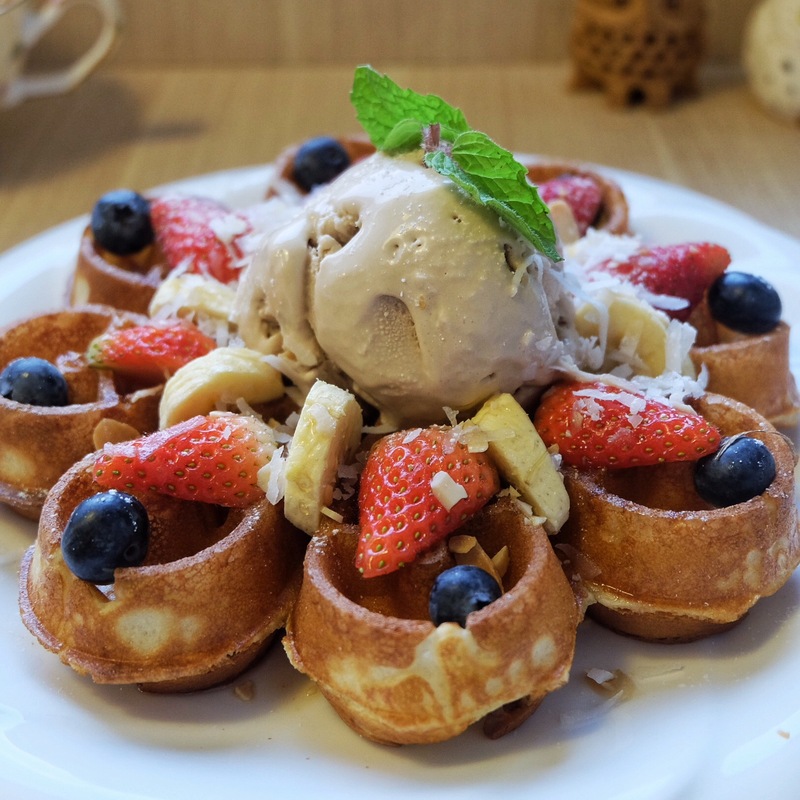 A waffle filled with strawberries, blueberries and bands topped with homemade earl grey ice cream , almond flakes, coconut flakes and maple syrup. I love berries so this is definitely my preferred choice! Do you know this place used to be a brothel and Merchant Lane took over ? Not only Merchant Lane serves good food, it is also a nice place to take OOTD. What an interesting name! A sinfully awesome dessert which you must try if you go to merchant lane. Pandan Roti gala topped with melted cheese and served with yummy kaya toast ice cream ,strawberry slices , nuts and a drizzle of gula melaka. Two tender grilled salmon fillet with 63 celcius super runny poached eggs ,mango corn salsa and housemade hash, this is definitely a dish that gives you an enjoyable texture! Softcore is well known for their molten cakes as they are using the finest Belgian Chocolate Couvertures as one of the ingredients to freshly make this awesome dessert. They also have molten cake sets at a price of RM21.90/RM39.90. Real Japanese matcha is being used, hence you could taste the bitterness in the matcha lava. It comes with Azuki Bean paste, candied calamansi, sesame tuille and a scoop of ice cream. Calamansi with Matcha, i can’t picture this combination yet. Belgian white chocolate molten cake paired with salted egg yolk, vanilla ice cream on crumble and rice puffs. Salted yolk is more towards the sweet side but salted egg taste is still there. IT IS A MUST to eat chilli ban mee in KL if you are a chilli lover! All you need to do is to add whatever amount of chilli you like and mix it! Ban mee was springy, topped with minced meat, vegetables , anchovies , shallots and runny poached egg! 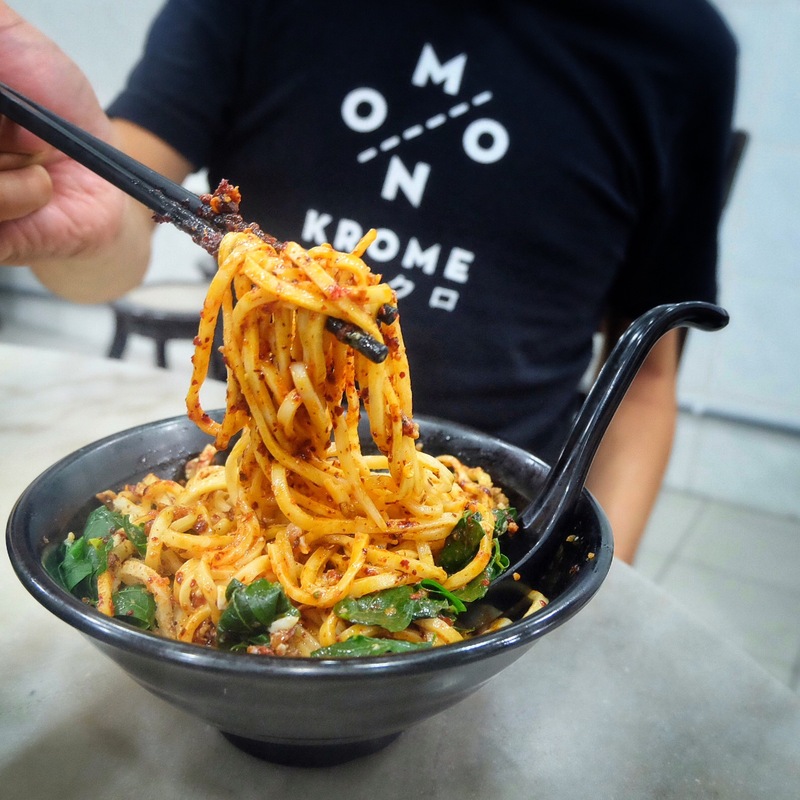 We actually had a heavy meal before this and yet we could finish this so you can imagine how awesome this bowl of chilli ban mee is! Kyo Chon This is a piece of good news for Kyo Chon fans! 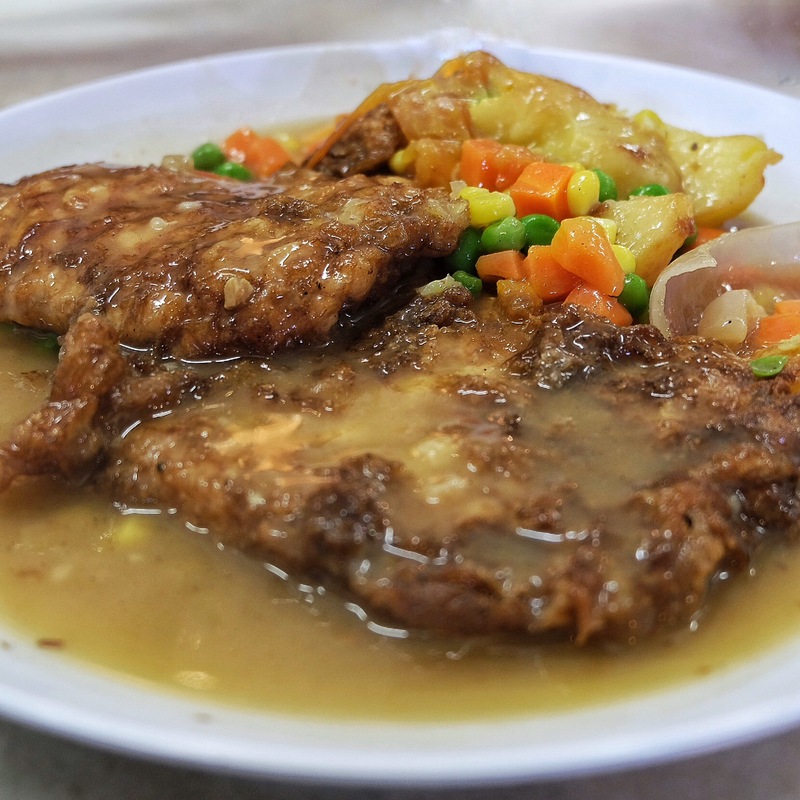 We can now satisfy our cravings for these awesome fried chicken in KL without going to Korea! There is no compromise of good quality and it tastes equally good as the ones in Korea. 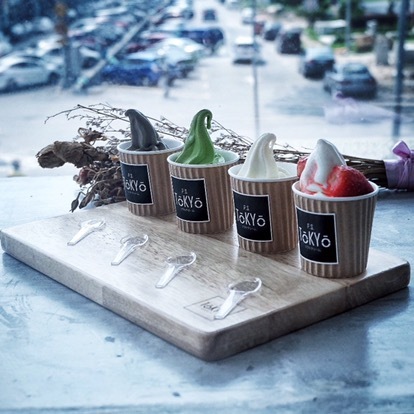 If you want to taste all flavours at P.S Tokyo,then the mini cups suit you the most! Get to try all flavours before you order a bigger portion! My favourite is Hojicha and Matcha! Legit matcha bittersweet taste that makes you totally fall in love with it!